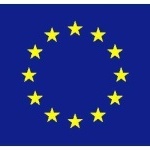 The project is one of a number of projects funded by the European Community’s Seventh Framework Programme (FP7, 2007-2013) to create technological solutions for the education and inclusion of marginalised people in Europe. The European Community “clusters” related projects together so they can benefit from sharing knowledge and avoid duplication in their work. 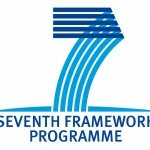 The MASELTOV project is one of three clustered FP7-ICT projects that aim to develop Digital Games for Empowerment and Inclusion (DGEI): ASC-Inclusion, MASELTOV and TARDIS. 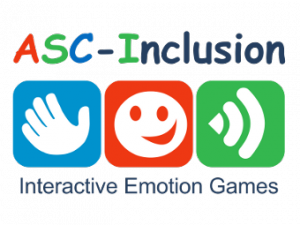 The ASC-Inclusion project aims to create an internet-based platform that will assist children with Autism Spectrum Condition (ASC) to improve their socio-emotional communication skills. The project will attend both to the recognition and the expression of socio-emotional cues, aiming to provide an interactive-game where to give scores on the prototypicality and on the naturalness of child’s expressions. It will combine several state-of-the-art technologies in one comprehensive virtual world environment, combining voice, face and body gesture analysis, providing corrective feedback regarding the appropriateness of the child’s expressions. The MASELTOV project aims to develop innovative social computing services that motivate and support informal learning for the appropriation of highly relevant daily skills. A mobile assistant embeds these novel services that address activities towards the social inclusion of immigrants in a persuasive and most intuitive manner which is highlighted in MASELTOV with a representative application of most essential / beneficial information and learning services, such as ubiquitous language translation, navigation, administrative and emergency health services.The ASC-Inclusion project aims to create an internet-based platform that will assist children with Autism Spectrum Condition (ASC) to improve their socio-emotional communication skills. The project will attend both to the recognition and the expression of socio-emotional cues, aiming to provide an interactive-game where to give scores on the prototypicality and on the naturalness of child’s expressions. It will combine several state-of-the-art technologies in one comprehensive virtual world environment, combining voice, face and body gesture analysis, providing corrective feedback regarding the appropriateness of the child’s expressions. The TARDIS project aims to build a scenario-based serious-game simulation platform for young people not in employment, education or training (NEET) at risk of exclusion at the age of 16 to 25, to explore, practice and improve their social skills. TARDIS will facilitate the interaction through virtual agents (VAs) acting as recruiters in job interviews scenarios. TARDIS will be able to detect in real-time user’s emotions and social attitudes through voice and facial expression recognition and to adapt the progress of the game and the behaviour virtual interlocutor’s behaviour to the individual users. It will provide field practitioners with an intuitive authoring tool for designing appropriate interview scenarios and for setting agents’ behaviours without the help of computer scientists. Furthermore, it will give practitioners a unique access to a systematic record of the specific difficulties that the users experience. The three projects can be seen as complementary, because they share much in terms of their respective methodologies (user-centred iterative design), technical solutions (all three propose to rely on the serious gaming paradigm to deliver support and to motivate the users) and in terms of the context of the application (in all three projects the target population has special needs, either socially and economically determined, or neuro-developmentally conditioned). To capitalise on the similarities between the three consortia, ASC-Inclusion, MASELTOV and TARDIS propose specific tasks to identify the potential and the best method for concrete clustering and synergies early in the projects. To enable this, a first closed workshop for all members of the three projects has been held in Brussels on 19 April 2012. For more details read the Report on the DGEI clustering first workshop.